After the sudden death of his mother, elementary school student Chihiro Komiya is left with no home and no family. But this changes when he encounters a rich and frivolous stranger who turns out to be his long-lost uncle, Madoka Takatori. Madoka offers to take Chihiro in, but upon arriving at his uncle's high-class mansion, the young boy is greeted by a plethora of dust and garbage. As Chihiro's neatfreak instincts kick in, he sets about cleaning the entire residence. 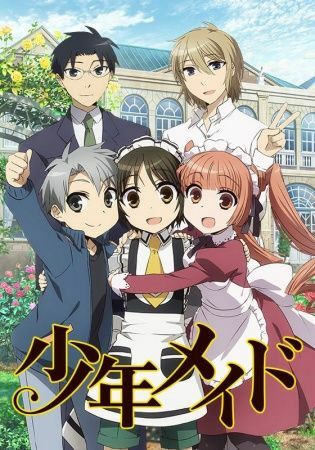 Shounen Maid is a lighthearted comedy that follows Chihiro as he finds himself dressed in a frilly uniform , receiving a salary, and working as maid of the house.